Flashback five years ago. Conventional crop inputs largely dominated the portfolios of many U.S. ag retailers, especially those based in the row crop states of the Midwest. They were often reluctant to add biologicals to the product mix. And the reasons were plenty — lack of trust, too expensive, handling/storage concerns — to name just a few. Flashforward to today’s ag retail market and it’s a significantly different picture. Retailers nationwide have come to recognize the importance of biologicals and their role in enhancing yields and crop quality, while also providing the critical sustainability benefits of improved soil health and nutrient utilization. The biological products sector is flourishing, and ag retailers are becoming a big part of it. 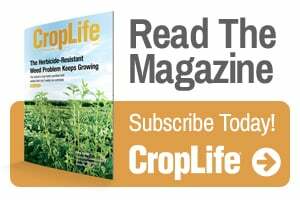 CropLife® magazine recently surveyed the market to gauge just how big. 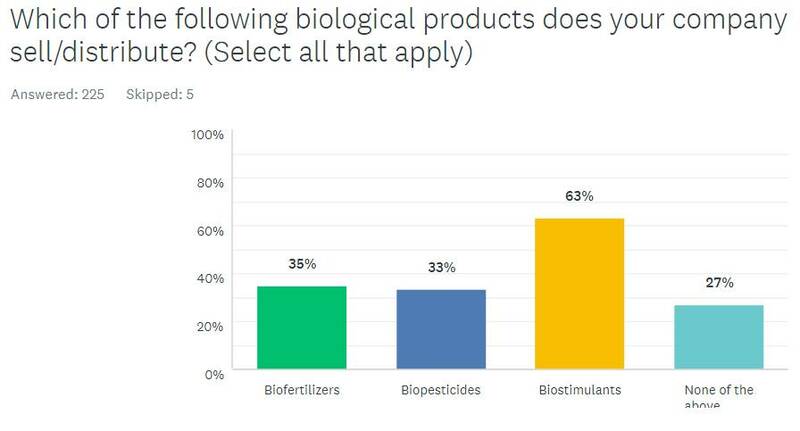 In December 2017, we conducted our first “Biological Products Market Survey” with a goal of learning about ag retailers’ use of agricultural biological products, including biofertilizers, biopesticides, and biostimulants. The objectives of the study were to define, segment, and measure the size of the biologicals market for the U.S. ag retail industry with respect to its type, application, and region. Here are some of the key findings from the study. Overall, 230 participants completed the survey, consisting mostly of Retailer/Dealer (53%), Crop Consultant/Advisor (17%), and Manufacturer/Formulator of Pesticides and Related Chemicals (16%). The region served most by respondents was the Midwest (58%), followed by the Plains (37%), West (32%), Atlantic (31%), and South (27%). Respondents said their grower-customers typically produce corn (87%), soybean (77%), wheat (72%), vegetables (41%), and cotton (32%). Biostimulants (63%) was the No. 1 type of biological product sold and/or distributed by respondents. It was followed by biofertilizers (35%) and biopesticides (33%). Twenty-seven percent said they didn’t sell/distribute any biological products. Biological products will likely take on an even larger presence among retailers in 2018 and beyond. 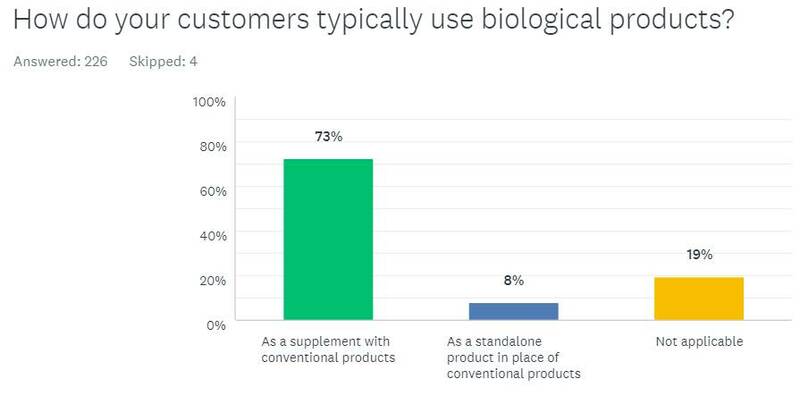 According to the survey, more than two-thirds of respondents (67%) said they plan to “increase the percentage of biological products” they sell/distribute in the future. Only 14% said they plan to “make no changes” with the biological products they market, and less than 1% said they plan to “decrease the percentage” in the coming years. Application of biological products is also another key consideration for ag retailers and their customers. Nearly half (49%) said their customers typically apply their biological products as “both seed treatments and topicals,” while 17% said they apply them as “topicals” only, and another 15% apply them as “seed treatments” only. Adding biological products into existing product offerings can provide a lot of benefits for customers, including improved crop yields and sustainability profile. But every product shift has its share of challenges that retailers have to overcome. When asked what barriers may exist for the increased adoption of biological products at their company, the No. 1 answer from respondents was “lack of trust in product performance” for all three categories: Biofertilizers (65%), biopesticides (66%), and biostimulants (72%). The second biggest barrier was “conventional products perceived to be better” for biofertilizers (35%) and biopesticides (40%), while it was “too expensive” for biostimulants (35%). 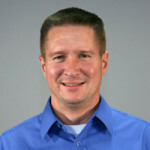 Turning challenges into opportunities is nothing new for ag retailers. And the same is true when it comes to biological products. Most respondents said “more research that demonstrates product effectiveness” was the best way to help improve the saleability of all three biologicals at their company: Biofertilizers (76%), biopesticides (72%), and biostimulants (78%). It was followed by “more product education/knowledge” (57%, 53%, and 60%, respectively). Speaking of more education, the three most preferred methods of learning more about biological products were in-house training (51%), print materials (50%), and off-site conference/workshops (48%).